Show Acts to individual needs. Select the costumes, the stage and the choreography. Eyecatcher for indoor and outdoor events. Created to astonish your audience. Extra Energy Dance is the team around the dancing choreographs Lotta and Pascal. Since 1995 Extra Energy Dance offers a variety of event entertainment. Their show acts are suitable for any kind of show program no matter if it is indoor or outdoor. Lotta Svalberg and Pascal Sani create choreographies for events and product presentations since 1995. We reach people. By dance and entertainment. »Green Trees«, »Silver«, »Big White« and »Wizzard«. Visual adventure in light colour and fluid movements. 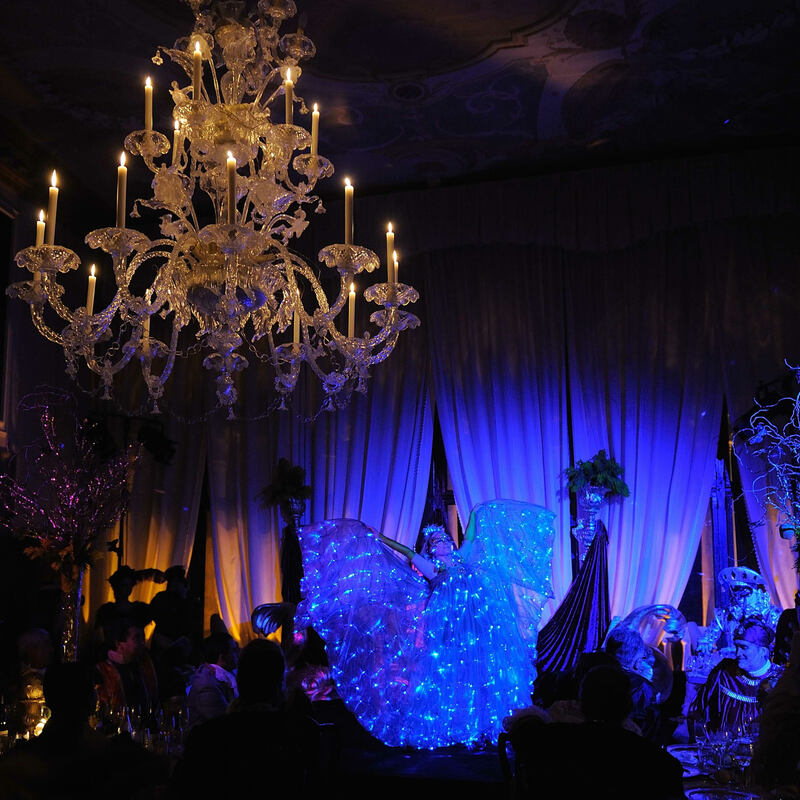 Emotion through technical precision – a charismatic dance performance that is going to turn into a memorable event. Fullydelight can be performed on stage as a solo, duet or as a presentation with more dancers. Extra Energy Dance is part of your stage performance as an addtional act or stand-alone act of your live show. Get in touch with us and we´ll have a chat on your ideas and requirements that are needed for your project. 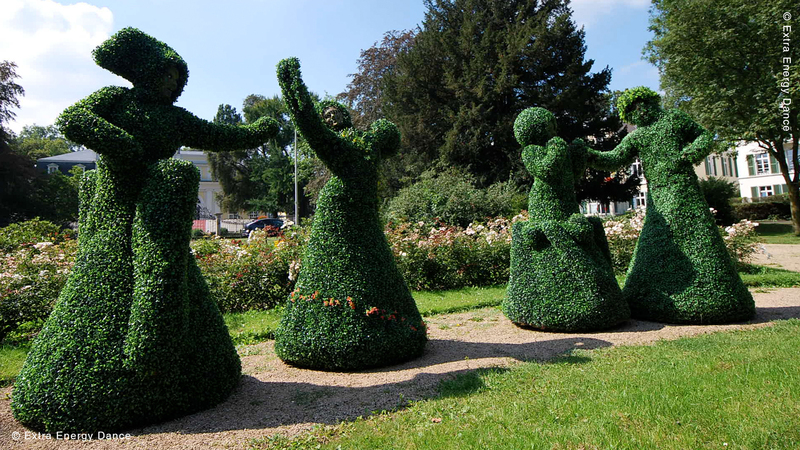 A customized choreography is adapted to your surroundings. We are going to customize your show, we are creating stories by our dance performance and we are performing suitable stagings. Indoor or outdoor performance? Our stage program is suitable for the indoor presentation on a fair trade, at the stadium but also outside on a huge terrain like the exposition. Surprise your audience. You are going to trigger wide eyes and mouths that will turn into “Os” on a Grand Gala or Award Show by providing the Surprise Act. Extra Energy Dance is happy to help you. You´re looking for an Aftershow Act? You will be kept in the mind of your audience by providing a stage performance that is an adventure of dance and entertainment. We are looking forward to advising you on the right Aftershow Act for your event. We are going to entertain your customers and the audience by providing a pause act inbetween the breaks or even inbetween speeches during e.g. day-long conferences or long lasting weekend events. Dancing show acts and unique choreographies – Extra Energy Dance offers special event entertainment since 1995.